Hello everyone things are really moving on the new house, it is so exciting to see everything getting pretty and the finishing touches happening!!! Speaking of finishing touches, I thought I would show you a couple that we purchased from Van Dykes Restorers to add some touches to our finishing’s. 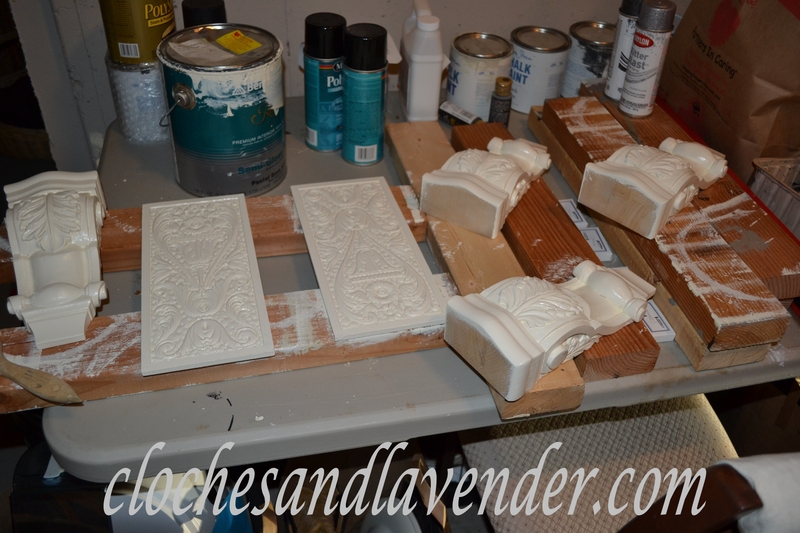 I purchased these corbels to add some embellishment to molding. For where you might ask, now you know I can’t tell you that, LOL!!! Trust me they will be a great touch for where they are slated to go. 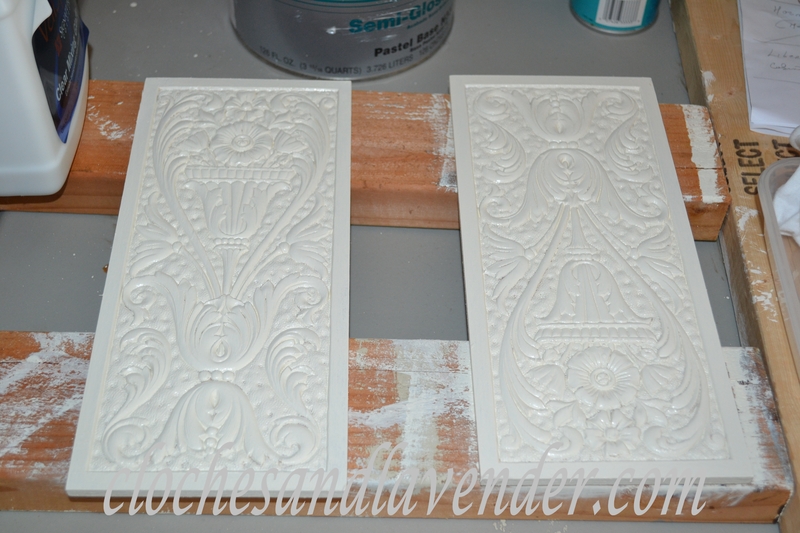 I also ordered these beautiful appliques which I painted and then glazed with raw umber paint added to plain glaze. I wanted to give them an aged look and I love the way they turned out. Okay, since you have been left hanging on so many other things I will toss you a bone, LOL. These will be added to the doors on our bookcase in the great room. When you see these in place they are going to be a perfect touch. More to come, it is getting really close. I can just burst and am I getting the decorating bug big time!!! Till next time, stay well. These are lovely! You really have an eye for detail! I love each piece and know each one will look spectacular in its new home! Exciting times! Thanks for the bone lol! I can see those on the doors…Man this is going to be one amazing house! I really want to make it us and it feels that way already when we go see it every night. These pretty details you’re getting ready to add are like the jewelry on a pretty dress! They really are like jewelry and I can’t wait to do more things I have planned after the unpacking. So Pretty I cannot wait to see them up. So exciting to finally be able to decorate. You aren’t kidding Kris, I have been waiting a looonnnggg time as you know. They look amazing! Your home is going to be beautiful! Thanks Heather, things are very hectic trying to get the house ready for the CO. These are such gorgeous details! I am sure they are going to be amazing in your new home. I can’t wait to see them added!!! Diana thanks so much for following along. So many ideas in my head. These are beautiful embellishments, Cynthia! I can’t wait to see how you use them in your home. I was thinking about you the other day! I’ve been waiting to see how you were going to do some DIY projects for the new home. You’ve got my attention now. Can’t wait Cynthia! Happy I am grabbing your attention. Things are moving really fast now getting ready for the CO. I really can’t wait to start decorating and projects big time!! 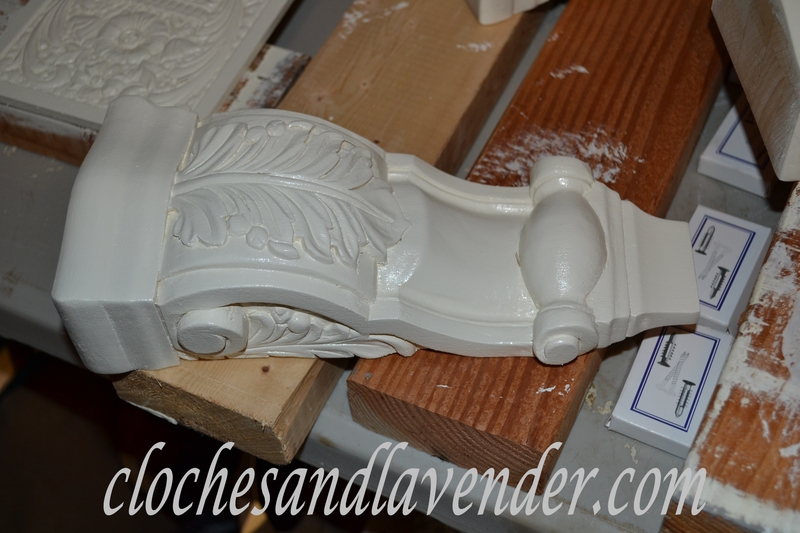 Beautiful detail pieces….can’t wait to see them in the rooms!!!!!! Cynthia, I love all your special painted touches. Can’t wait for the unveiling!! It’s going to be a dream come true home!! Thanks so much Jody, I can’t wait to get in there and really decorate!! 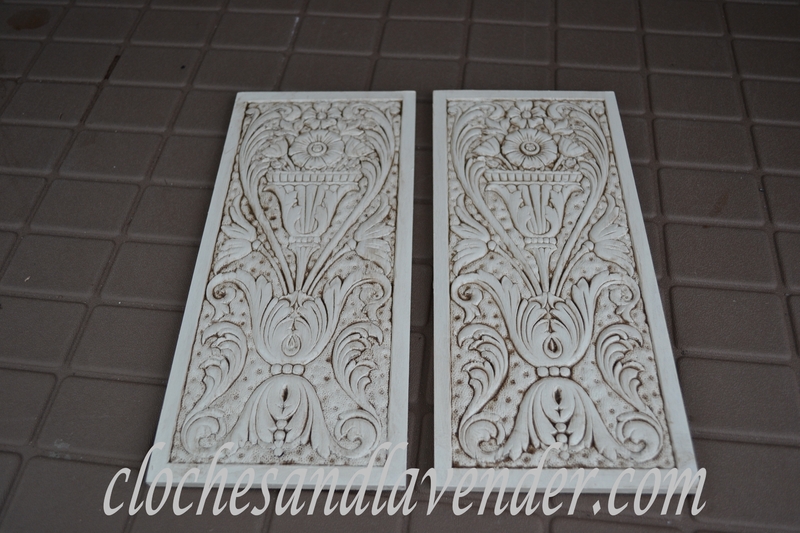 Love the appliqués and cannot wait to see them on the doors!!! Thanks Shirley, I think they will add a lot. can’t wait to decorate and do projects again. After the unpacking first and seeing our stuff after a year! How fun to be designing your house with all the extra special touches that make it yours. I love everything you are doing. Thanks so much and for taking the time to follow me a long!!! I can’t wait to get my projects going. Wow these turned out really pretty! Very pretty! These details should really have big impact! Thanks Amy, I hope so and I think they will. I know you are enjoying getting ready to move into your beautiful new home! I love the moldings and other architectural items you’re adding. Thanks so much Kelly. I can’t wait to get in unpack and see our stuff. It’s been a year, LOL. I want to get decorating!!!! Cynthia, you have thought of every detail for your new home! I love the way you’ve used the raw umber stain on top of the paint! I also looked at your ceiling medallions, and what a beautiful job you did on those. I can’t wait to see it all finished. Have a wonderful weekend! Thanks so much Kitty for your kind words. I really can’t wait to get decorating and more projects done!! Have a great weekend too! Thanks so much Manuela, I try and can’t wait to show everyone once we are in the house!! You are on a roll Cyn, and this is going to be one amazing home! Thanks so much Doreen, I can’t wait to get decorating and start projects! Cynthia, I know you must be so excited that you’re about to burst! The appliques and corbels will be beautiful in your new home. Can’t wait to see them in place! No new posts….That means you must be up to your eyeballs in moving! Don’t worry we are all here, a captive audience…Can’t wait!! Not yet , the 24th and I will have an update! oh, you get to move in soon? wonderful, cynthia! i know it’s been a long process, but, move in day starts the fun:) the glaze really makes the details pop on the plaques. can’t wait to see them installed! Thanks Lynn and it has been a long haul believe me. I can’t wait to get in there unpack and then really decorate. I have a few projects in mind too. Next week and the fun begins, well sort of the unpacking has to happen first. did the appliques come from the same place as the corbels? I just love them and have the perfect use for a couple of those… let me know please! Yes Anne, I ordered them from Van Dykes. Hope you love them as much I do and thanks for pinning I noticed it this morning!!! !